Amid the continuing speculation of Kevin Durant's future — the Warriors star enters free agency next year — Golden State gave the All-Star forward a guided tour Friday of the team's new arena that is under construction in San Francisco. The Warriors are set to move into Chase Center next summer after 47 years across the bay in Oakland's Oracle Arena. 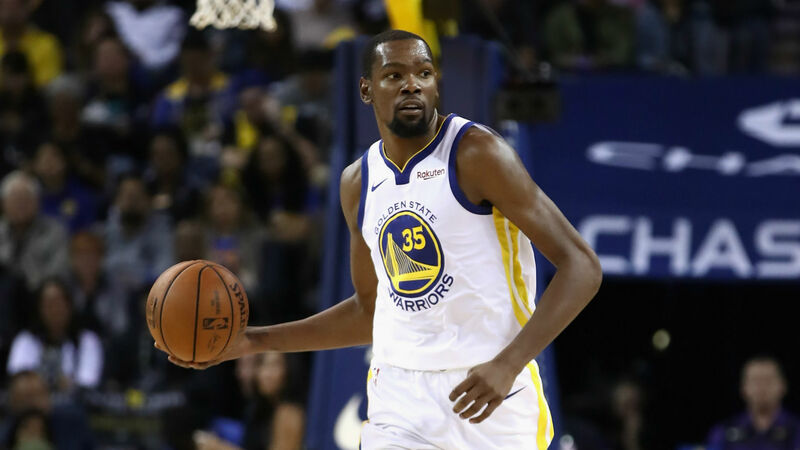 While the two-time NBA champion toured the facility, Durant said he couldn't help but think about what his future may look like if he decides to stay with the Warriors after this season, according to ESPN. He added: "My imagination is going wild right now with possibilities." But he wasn't willing to reveal much more about his future and the looming decision that awaits him in free agency. A reporter asked Durant if he would commit to stay with the Warriors as he considered where his new home would be, but Durant smiled and diverted the question. Instead, he said to the Warriors' staffers as he tried to move the tour along: "What are we doing? What are we doing?"